One of the largest causes for loss in process industries for both equipment and life is fire. The enormous volume and frequency of use of flammable and combustible liquids and gases handled worldwide implies that the risk of industrial accidents is great. At Fauske & Associates, LLC (FAI) we can help you assess your risk exposure by characterizing the flammability potential of your combustible vapors or gases. The following is a list of the most common tests that are performed for flammability hazard characterization and the standards by which FAI can perform these tests; please note that specialized testing can be performed to more closely match your process conditions and thereby better gauge your risk. 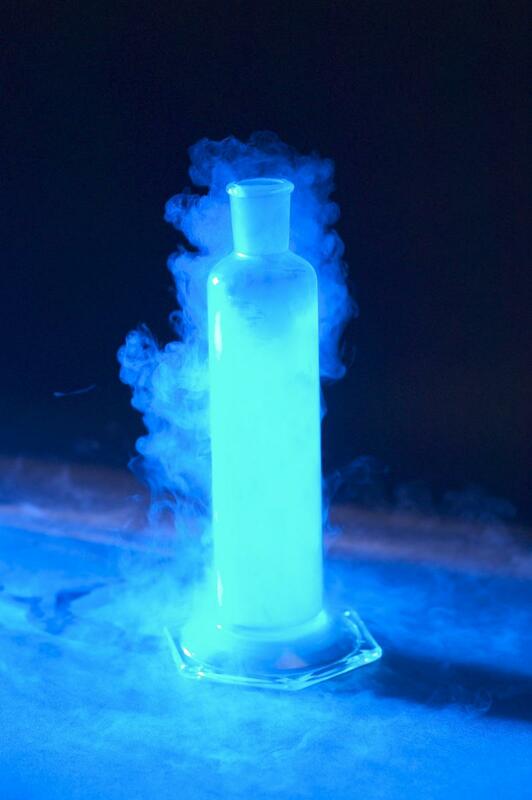 The flash point is the minimum temperature at which vapors given off by a liquid pool form an ignitable mixture with air. This test is used to assess the relative flash-fire hazards of handling and processing liquids. Results from this test, in conjunction vapor pressure or boiling point tests, will help characterize a liquid as either being flammable or combustible based on the criteria of organizations such as the NFPA, EPA, OSHA, or UN. Characterization of liquids using the flash point test will provide information on the proper packaging and shipping group for transportation purposes in addition to storage and handling requirements. Sustained burning (sometimes referred to as sustained combustibility or Fire Point) is the lowest temperature at which the vapors produced above the liquid surface will continue to burn once ignited – not just create a flash fire. The result from this test could be used in the evaluation of a fire risk assessment because this test method measures the tendency of the specimen to support sustained combustion. The fire point temperature is typically greater than the flash point temperature. Autoignition temperature is a flammable property defined as the lowest temperature environment at which a gas or vapor will spontaneously ignite without a distinct/localized ignition source. It is helpful to know the autoignition temperature if chemicals are being handled or processed under elevated temperature and/or pressure conditions. This flammability property is dependent on numerous factors including pressure, temperature, oxidizing atmosphere, vessel volume, and fuel/air concentration among others. Therefore, it is important to characterize the autoignition hazard at as close to your process conditions as possible. Processing of plastics at elevated temperature could produce a flammability hazard as a result of the formation of flammable vapors. 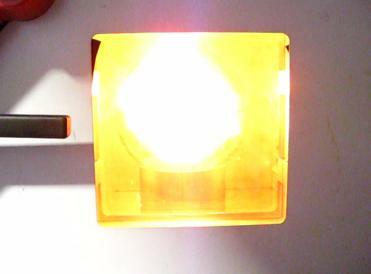 There are two possible risks associated with processing plastics at elevated temperature: Flash Ignition Temperature and Spontaneous Ignition Temperature. The flash ignition temperature is the minimum environment temperature at which there is a sufficient evolution of vapors from the decomposing plastic to mix with air and from an ignitable mixture; when exposed to a localized ignition source. 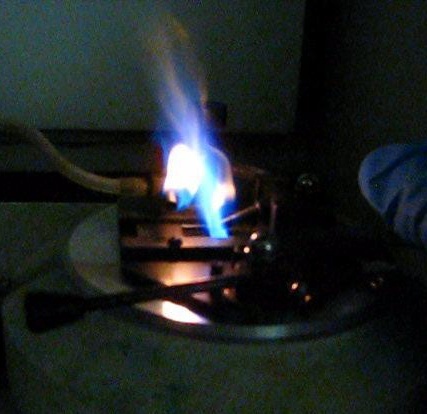 The spontaneous ignition temperature on the other hand is the minimum environment temperature at which the evolved vapors from the decomposition of the plastic auto-ignites. The flammability limits for a fuel-oxidizer consist of a lower flammable limit (LFL) and an upper flammable limit (UFL). Flame propagation will not be supported if fuel concentrations are either below the LFL or above the UFL in an oxidizing atmosphere. However, concentrations of mixtures in between these two limits will result in the formation of a flammable atmosphere and a possible fire or explosion could occur. 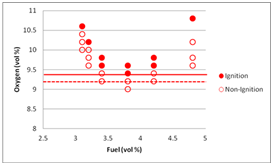 The Flammability limits of a fuel-oxidizer are similar to the autoignition temperature, in that they are also dependent on numerous conditions: temperature, pressure, ignition source, vessel size and geometry, direction of flame propagation, inerts or oxidizer, and mixture composition. Caution needs to be taken in determination of the flammable limits as a result of the numerous factors that affect these measurements. Therefore, it is important to determine these limits as close as possible to actual process conditions as well as taking those other factors into consideration in the test design. Determination of these limits will not only provide an understanding of the possible safety hazards present in operating at certain conditions but also provide useful information on how to safely operate a process outside of the flammable region. Sometimes it is not always cost effective to operate large scale processes under an entirely inert environment; therefore, knowledge of the flammability limits may provide some flexibility on process operations. The temperature limit of flammability is the minimum temperature at which vapors in equilibrium with a liquid will be sufficiently concentrated to form flammable mixtures in an oxidizing atmosphere at atmospheric pressure. In theory, the lower temperature limit of flammability and the flash point should be the same; however, this is not always the case and is a result of the variations in the test apparatus as well as the test methodology. For more information about a comparison between the flash point and the LTFL, please see the article “Evaluating the flammabilty hazard of liquid vapors” in our Winter 2012 Process Safety newsletter. 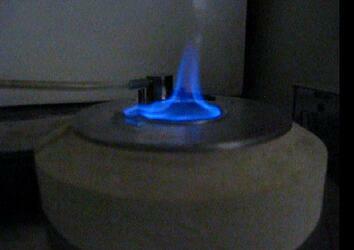 The limiting oxygen concentration (LOC) is the minimum amount of oxygen needed to support flame propagation. The LOC can be used to help determine proper inerting and purging procedures to keep a process material outside of the flammable region. The LOC is dependent on test conditions such as temperature, pressure and inert material used. The data could also be used to help take a vessel out-of-service or commissioning a vessel to be brought into service. 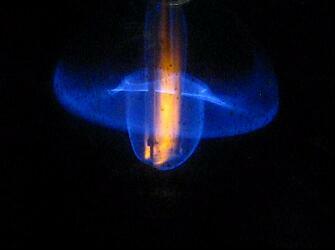 The minimum ignition energy (MIE) is the minimum amount of energy needed to ignite a flammable mixture. The MIE helps to give an understanding on the ease of ignition for a gas mixture. The MIE is a function of test conditions including temperature, pressure and mixture composition. Under certain conditions, the MIE may be high enough where elimination of the ignition source from process operations may be a sufficient means of explosion prevention. Another parameter associated with MIE is the ignition quenching distance. This is the maximum distance at which a flame will not be able to propagate upon ignition. Under certain circumstances, it may be necessary to operate a process inside of the flammable region, thereby, presenting the risk of a fire and/or explosion hazard. At this point, explosion protection equipment and controls are needed to operate this process safely. Performing explosion severity tests will help determine the extent of protection needed in the process. 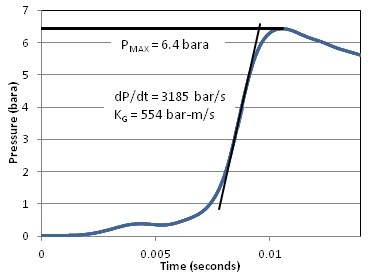 This testing will determine the maximum explosion overpressure (PMAX) generated during an ignition event of the flammable mixture as well as the deflagration index (KG) which is the maximum rate of pressure rise normalized to the vessel volume. These parameters can be used to help pressure rate a vessel for containment purposes or be used to design an explosion relief system. The heat of combustion for a chemical is the heat released when that chemical undergoes complete combustion with oxygen at standard conditions. The heat of combustion can be measured experimentally through a few different setups. 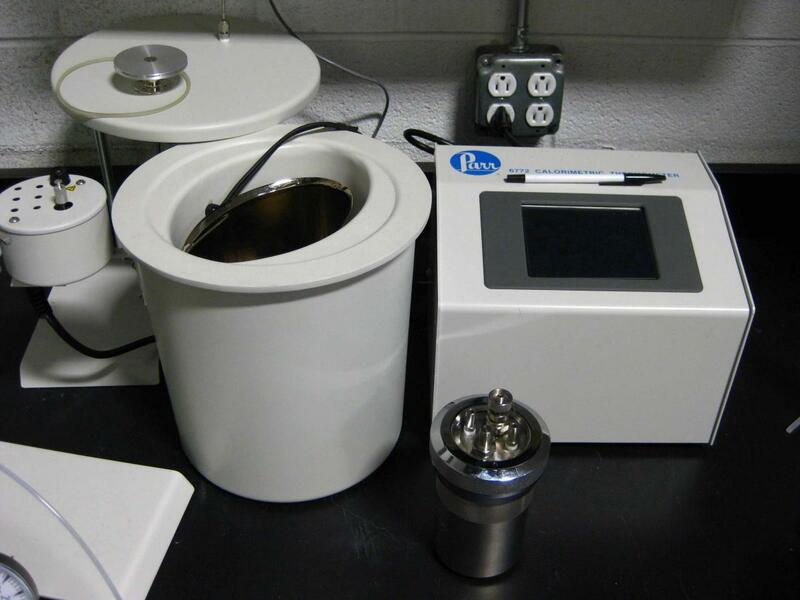 One such setup is an Oxygen Bomb Calorimeter, shown here, which can determine the Higher Heating Value (HHV) heat of combustion for any solid or liquid sample. The HOC is important to determine the energy content of a chemical which could be used as source for energy, and can be used to determine the thermal efficiency of equipment used to produce power or heat. 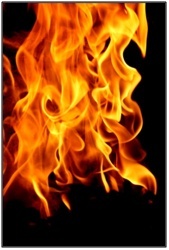 Please see our "Heat of Combustion" article in the Winter 2012 Process Safety Newsletter. At FAI, we have an extensive knowledge regarding the design and development of specialized tests and test apparatus. We continue to expand our testing capabilities and push the limits for testing conditions. As a result, we are able to offer solutions for scenarios not typically quantified by standard test methods.